Aggressive TTRS styling in black optic with gloss black trims and surround. Bolt-on fitment for the TTRS. 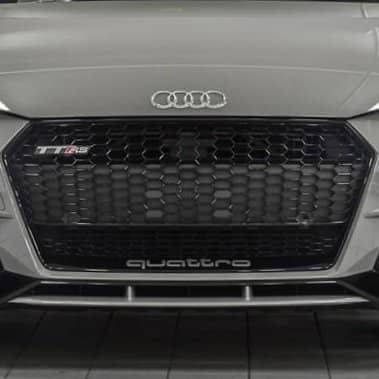 Grille comes without a plate holder and has mounting points for one if needed. Gloss black European or US plate holder is available to add.